Ripped, lean and strong! Get the six pack abs you want with ease! YouthBerry’s Weight Loss for Men supplements are ideal for men who want those six pack abs and a lean physique. Now, it is easy to get rid of unwanted beer belly with natural, herbal extracts. 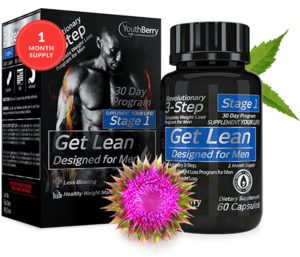 YouthBerry’s Get Lean Weight Loss Stage 1 for Men is the ideal way to kick start weight loss for men. Get Lean gets you flat abs and reduces your bloating. YouthBerry’s Get Lean 1 unleashes it’s detoxifying agents and fat burning power using the highest quality ingredients such as seen in our proprietary blend. 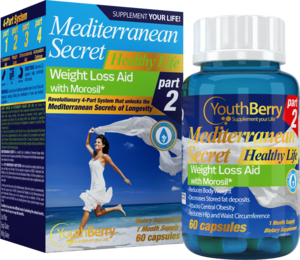 YouthBerry’s Get Lean helps your body release unwanted toxins, setting you on-track for amazing weight loss results. 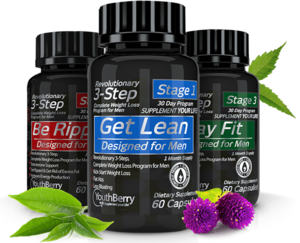 YouthBerry’s Stay Fit Stage 3 Weight Loss for Men contains Coleus Forskholii, Green Tea and Green Coffee Extract. At this stage in your weight loss journey to see stellar results you need to lead a low-carb lifestyle. We understand that it could be difficult with your lifestyle so YouthBerry’s Stay Fit reduces the absorption of carbohydrates found in breads, rice, cereal, pasta and other starch-containing foods. Thus, assisting your lifestyle and supporting your weight loss. The Be Ripped is Stage 2 Weight Loss supplements for Men. It provides testosterone support, helps you get ripped and gets rid of excess fat and increases energy levels. Be Ripped is a supreme blend of natural herbs and amino acids to increase muscle stamina enabling you to be ripped and lose the excess fat.